- The complicity of some security officers (the Republican Guard, the National Police, the Direction Générale de Migration - Homeland Security, the services of the ANR - secret service, the CENI officials, state agents), with the hidden intention of facilitating fraud. Despite these glaring irregularities, the suffering people have witnessed the will they expressed at the polls stolen by CENI, which has facilitated the reversal of the trends in favor of their candidate Joseph Kabila. The President of the CENI, Mr. Ngoy Mulunda, demonstrated support for Kabila early in the election process and unceasingly defended him, despite claims that he was serving an independent institutional role. The incumbent created the same situation with its position vis-à-vis the CENI. Who does not remember the blank ballots found in 2006 in Mr. Ngoy Mulunda's offices, located at Avenue de la Justice, when he was not part of the 2006 electoral commission? The Democratic Republic of Congo, our country, looks by all perspectives like a banana republic devoid of any law. The highest courts, namely, the Supreme Court of Justice, which is expected to uphold the law, has become simply an instrument of Joseph Kabila's power or better yet his own personal property. Despite all the accusations and blatant irregularities noted by the various stakeholders in the elections of November 28, the Supreme Court, which makes the final decision on election results, ultimately did nothing but express the will of the CENI and not the will of the Congolese people. Faced with this blatant theft of the Congolese people's voices, the people expect nothing less than the recovery, by any means necessary, of its hard-won victory at the cost of human life, to reference the 18 Congolese killed November 26, 2011 at Tshangu. As if this were not enough, the Conseil Superieur de l’Audiovisuel et de la Communication (CSAC - media regulator/censor) exploited by the dictatorial power of Mr. Joseph Kabila, blocked the signals of three television channels Radio Lisanga Télévision (RLTV), Congo Média Channel Télévision (CMC TV), Canal Congo Télévision (CCTV), all stations close to the opposition. The Congolese population have also been deprived of their liberty to communicate by elimination of the use of SMS. Africa in general and the Democratic Republic of Congo in particular were encouraged by the involvement of the international community in resolving post-election conflicts in Ivory Coast by applying pressure to determine the truth of the polls and restore the will of the Ivorian people. This Ivorian situation has undeniable parallels to the Congolese situation. This is why the Congolese people believe that the international community has no excuse for this silence; we believe it should be held accountable for the consequences of its silence. The Democratic Republic of Congo, our country, has no need of strong men; instead it needs strong institutions. Learn more about the elections and the awakening of the Congolese people! On November 28, 2011, the Democratic Republic of Congo (DRC) held its second presidential and parliamentary elections since the devastating war that began in 1996 and continues to claim lives in the eastern part of the country. Assassinations, intimidation, and other human rights violations have been documented since the beginning of the electoral process. Human Rights Watch reported that of the 18 people dead as a result of electoral violence on November 26, the majority of those killed were shot dead by President Kabila’s Republican Guard soldiers in Kinshasa. On December 9, 2011, the preliminary presidential election results were announced. The electoral commission reported that Joseph Kabila was the leading candidate with 8,880,944 votes, or 49% of the votes cast. He was followed by Etienne Tshisekedi with 5,864,775 or 32%. The Archbishop of the Catholic Church in Kinshasa, Cardinal L. Monsengwo Pasina says the results correspond neither to truth nor justice. The Carter Center who observed the elections said that they lacked credibility. The Carter Center also observed that 2,000 polling station results numbering 750,000 votes were missing in Kinshasa alone. The European Union deplored the lack of transparency, and the irregularities in the collection, compilation and publication of the results. They also noted that results from 4,875 polling stations totaling 1.6 million votes were missing. 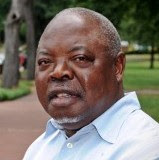 Steps taken by the Kabila regime ranging from the change in the constitution, appointment of a member of his party and close adviser as president of the electoral commission, and the stacking of the Supreme Court at the outset of the launch of the electoral campaign all strongly suggest a premeditated attempt to rig the elections or produce a fraudulent outcome. 1. Refrain from recognizing Joseph Kabila as winner of the 2011 presidential election. 2. Facilitate a high-level mediation process made up of the Southern African Development Community, the African Union, The European Union, The United Nations, select respected former African heads of states and representatives from the United States, England and China. 3. Assure that the will of the people is accurately reflected in the legislative elections. It is critical that the current political crisis in the Congo is given the attention it deserves with the particular focus on making sure that the will of the Congolese people is respected. Click here to learn more about the elections! Friends of the Congo and the African Great Lakes Advocates Coalition* would like to urge Occupiers and others of goodwill in the U.S., from Massachusetts, California, New Jersey, Maryland, Pennsylvania, Virginia, New Hampshire, Illinois, Delaware, New Mexico, Tennessee, Idaho, Florida, Oklahoma, South Carolina, Georgia, Wyoming, and Utah, to Occupy the phones to the U.S. Senate for the Democratic Republic of the Congo (D.R.C). If you live in the following states - Massachusetts, California, New Jersey, Maryland, Pennsylvania, Virginia, New Hampshire, Illinois, Delaware, New Mexico, Tennessee, Idaho, Florida, Oklahoma, South Carolina, Georgia, Wyoming, Utah - we need your support in calling your senators and posting info on their facebook page about the situation in the Congo. Hello, my name is ___________. I am a constituent of Senator ___________. I am calling in regard to the Senate Hearing on Thursday December 15 on Congo's elections that Senator ________ 's committee will be hosting. I want to thank Senator ______ for holding this hearing. 1. Demand that the US government does not recognize the current elections results published by the Congolese Independent Electoral Commission (CENI) in light of the Carter Center's, European Union's and Catholic Church's report about the irregularities during the electoral process. 2. Assure that the will of the Congolese people is respected per their vote on Nov. 28th. Learn more about the elections here and stay abreast of the latest updates via Twitter. On Tuesday, December 6, 2011 the African Great Lakes Advocacy Coalition (Africa Faith and Justice Network, African Great Lakes Action Network, Friends of the Congo, Foreign Policy in Focus) briefed members of the United States Senate and their staff of how the United States can leverage existing laws and policies to immediately address the electoral crisis in the Congo. Below are the recommendations made to the U.S. Senate. On November 28, 2011, the Democratic Republic of Congo (DRC) held its second presidential and parliamentary elections since the devastating war that began in 1996 and continues to claim lives in the eastern part of the country. Assassinations, intimidation, and other human rights violations have been reported since the beginning of the electoral process. On December 6, 2011, the preliminary presidential election results are expected to be announced. Both the Congolese people and the international community are concerned about violence engulfing the country and possibly its neighbors. Unresolved issues of accountability, impunity and lack of justice as identified in the UN Mapping Exercise Report demand a concerted international engagement. 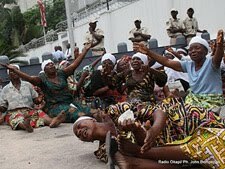 On June 29, 2006, the United States Senate passed S. 2125: Democratic Republic of the Congo Relief, Security, and Democracy Promotion Act of 2006, which was subsequently passed into law on Dec 22, 2006; Public Law No: 109-456. It is the policy of the United States to help promote, reinvigorate, and support the political process in the Democratic Republic of the Congo in order to press all parties in the Transitional National Government and the succeeding government to implement fully and to institutionalize mechanisms, including national and international election observers, fair and transparent voter registration procedures, and a significant civic awareness and public education campaign created for the July 30, 2006, elections and future elections in the Democratic Republic of the Congo, to ensure that elections are carried out in a fair and democratic manner. 1. Call for transparency in the voting results and support the verification process that ensures the results reflect the will of the people. 2. Continue to engage the Democratic Republic of the Congo as a committed and helpful partner by strongly condemning, pressuring and assisting to hold accountable those responsible for the violence that occurred before, during and after the elections. Click here to listen to audio version of the interview. Musavuli: Hello Professor Nzongola-Ntalaja. Thank you so much for making the time to speak with us in regards to elections here. Our supporters and readers have many questions as they related to the election. We felt the need, especially given the article that you published in The Guardian, to have a dialogue. Our first question is related to comparing the elections. How are the 2011 elections in the Congo coming up on November 28th different from the 2006 elections? Nzongola: Two major differences. The first is that the 2006 elections were elections organized, controlled and financed by the international community. They were organized under the international community to accompany the transition which was composed of representatives of the United Nations Security Council led by the Special Secretary-General Mr. William Swing, former U.S. Ambassador to the Congo Special Representative of the Secretary-General Kofi Annan, and plus countries such as Canada, Belgium, South Africa and the African Union. The internal community had decided that they wanted Joseph Kabila in power and they did everything possible to get him elected; violating our laws and doing everything possible to make the process one that favored one person namely Joseph Kabila. This year the main difference, and that’s the second difference, is that this year the elections are Congolese controlled. They’re not controlled by the international community even though Roger Meece, the former U.S. Ambassador to the Congo is now the United Nations Secretary-General's Special Representative to the Congo and basically a pro-Kabila person and a person who has been very hostile to Tshisekedi. So that is the main difference. The second difference is that there is a new element in the election That is Etienne Tshisekedi, the leader of the pro-democracy movement in Congo since 1980, almost 31 years, a person who incarnates the deepest aspirations of the people of the Congo as shown by the large crowds that are coming out to see him in Lubumbashi, Shabunda, Mvuete, Bunia, Kisangani, Goma, Bukavu, Mweka and elsewhere. So that is the major difference because here we see the determination of the Congolese people to come out and speak out and make sure that they take the destiny of their country into their own hands. Musavuli: That’s great. The second question that I have for you is the latest article from BBC that made reference to the Congo being a failed state which was an interesting claim. I saw in your article that you clarified that it’s a failed state in terms of safety and security. In the same article they also claimed that Congo was under tutelage and these are some of the arguments that many analysts have given, that the decisions for the Congo are made in Washington or in London. Do you agree with such a characterization of the Congo that Congo is in fact under tutelage? If you do not agree, how would you characterize the Congo today as it relates to the international community? Nzongola: Well the reaction of the international community to statements by Etienne Tshisekedi shows very clearly that they are supportive of Mr. Kabila because they have remained silent on all the gross violations of human rights committed by this regime including the assassination of Floribert Chebeya, the foremost human rights activist of our country in the last 20 years and of course Jean Bosco Ntaganda, the criminal who is now a General in Kabila’s army who has committed acts of crimes against humanity, against the people of Northeastern Congo and who is kept in Kabila’s army with the support of Rwanda. This is an indication of the fact that the international community does not care about the violations of our people’s rights and they want to be able to continue plundering the Congo as they have been doing. A couple of days ago a British MP declared that the Congo has lost $5.5 billion in mineral concessions made by the Kabila regime; all these mineral contracts which go to favor foreign interests rather than the interests of the Congo. The international community loves the Congo as it is, in ruins. We ranked 187th out of 187 countries surveyed by the United Nations Development Programme in terms of the Human Development Index. It’s a shame. Yes, the country is under tutelage and this tutelage was started after the inter-Congolese dialogue with the international community to accommodate transition, but as I pointed out, Mr. Roger Meece, the former U.S. Ambassador [to Congo], just like Mr. Swing, the former U.S. Ambassador [to Congo] was and is the representative of the United Nations in the Congo. Why is it that two Americans should be given the task of leading and supervising the UN operations in the Congo at this very critical time? It’s because those countries have a vested interest in controlling our country and we have to make every effort possible to liberate ourselves from this kind of tutelage. Musavuli: The second part of that question is, given that you do believe and many analysts do believe that Congo is under tutelage, isn’t the winner for the current elections already predetermined? Nzongola: Well they may have determined it, but the final say is going to be the Congolese people. Either they allow the Congolese people to vote freely their conscience and elect a person who incarnates their aspirations or they can’t have any vote on the other hand. Either impose a leader like Joseph Kabila for a second term, which he doesn’t deserve because he hasn’t done a thing in five years to deserve a second term. Then they want a revolution in the Congo. They want the people of the Congo to make the country ungovernable and to have violence. But if they want peace and stability in the Congo, then they should tell the people of the Congo to vote freely for a person of their choice then this person will certainly end that foreign tutelage. Musavuli: What role do you believe the international community should play in this election? Nzongola: Basically to make sure that standards of democratic governors, free and fair elections, human rights are observed. The United Nations has a responsibility under international law to see to it that human rights enshrined in the Universal Declaration of Human Rights and subsequent conventions are observed, respected and enforced by member countries. We now have a huge UN mission in Congo; 25 troops and thousands of civilian personnel. Their role in the Congo is to protect our citizens, to make sure that people are able to vote freely, that political leaders are able to campaign freely. Today we have the international community making a lot of noise about Mr. Tshisekedi, but they do nothing about Mr. Kabila preventing political leaders from even putting up posters in a place like Rond Point Victoire in Kinshasa, putting up posters in public places! You see posters of Kabila everywhere but very few posters of other political leaders because the regime sends even policemen, police officers to remove those posters. There have been cases of clashes between supporters of opposition parties and supporters of Kabila and the police preventing them from exercising their democratic rights. If the international community is serious about justice, freedom and democracy, they ought to make sure that the process is free and fair, transparent and democratic. Musavuli: So... with the current violence, free election violence and tension going on in the country and other reports that we received earlier this year as it relates to the logistics for the elections. Do you still believe that the elections, the presidential elections will take place on November 28th? Nzongola: I’m not a prophet... so I don’t know whether they will take place or not. I can’t predict one way or the other because I don’t have the facts to allow me to make one judgment or the other. But the point is clear, the CENI, the Independent National Electoral Commission known in French as CENI, has every interest to hold elections on November 28th because if it doesn’t, they are going to have the problem of illegality. The regime’s mandate expires on December 6th. What are they going to do if elections are not held before December 6th? Is Kabila going to continue as president or are we going to have a provisional regime? and how is this provisional regime going to be established? It’s really messy. There is every reason to believe that the CENI will do everything possible to make sure that electoral materials are all available, have to be brought in as quickly as possible to mobilize the support of our SADC partners, South Africa and others. Angola wouldn’t have a lot of logistical capabilities to bring all of these materials we need to hold elections as planned on November 28th. Musavuli: Looking at the spectrum of candidates right now in the Congo, especially in the opposition, why do you think it was really hard for the opposition candidates to come together and have one candidate that would represent the opposition so that this person had the best shot at defeating Kabila? Nzongola: Well I don’t know what you call the opposition. From my understanding, the opposition is totally behind Mr. Tshisekedi. The opposition is represented by people who are democrats who have fought against the Mobutu regime, who have fought against the dictatorship of Laurent Kabila, who have fought against the opportunists and adventurists under Joseph Kabila, that’s the opposition, people like Eugène Diomi Ndongala of the Christian Democrats Party, people like Etienne Tshisekedi, that’s the opposition. I don’t consider Kamhere to be in opposition. He’s in opposition because he disagrees with Kabila on some points? He is the person responsible for electing Kabila in 2006. How can he suddenly become a member of the opposition? Is Kengo Wa Dondo a member of the opposition? He’s the President of the Senate, a Senate whose majority is Kabila’s party in which he has worked with hand in hand without any problems. How has he become an opposition leader because he declares his opposition? Oh come on! We can’t just declare those people are in opposition because they declare themselves to be the opposition. If I declare myself to be a republican, am I a republican? The point is that the opposition, the two oppositions, as you see people running for Parliament all over the Congo, those who work for the real opposition are behind Tshisekedi. Others are people who are adventurers or people who want to be in power forever like Kengo Wa Dondo who has been in power for the last 40 years. These are people who cannot live outside of the government, who want the perks and privileges of office. They play this game of so-called opposition like they did in 1992 when they belonged to the Sacred Union and to pretend to be opposed to Mobutu when they were really members of the Mobutu regime until the end of the regime in April of 1990. So you see? There is no question about making alliances with these so-called opposition leaders because they are not part of the opposition. Musavuli: I see. So what is the best that the Congolese can expect from these elections? What can they expect as fundamental differences in their lives on a daily basis? Nzongola: If the people’s candidate wins, and the people of the Congo tell you that they have their candidate. Their candidate is Étienne Tshisekedi. If he wins, yes, there is reason to hope that things will change for the better. Certainly it will take time, but at least they will have the fundamentals which, according to Tshisekedi consist of the establishment of the Rule of Law and the strengthening of the state so that it can perform its normal functions. The Congo is a failed state. It’s a failed state in all aspects of the states’ functions; in terms of law and order, safety and security for the population, in terms of collecting enough revenue to be able to pay for government services and civil service and the military, in terms of providing basic services to the population. Even the city of Kinshasa which is not far from the Inga dam, one of the largest hydroelectric projects in the world, they go days without electricity and sometimes even shortages of water in a country that is the richest in the world in terms of water resources. How do you explain that? This regime has done absolutely nothing. So we hope that if Tshisekedi is elected as we think he should be if the vote is free and fair, there will be then the beginning of the regeneration of the Congo, the recreation of a state, the reestablishment of the Rule of Law, the reconstruction of the economy so we can have roads, we can have schools, we can have health centers, we can have public transportation and then we can end this murderous violence, the sexual violence against women and girls in Eastern Congo. We can secure our borders by having an army worth of the name and not an army made up of rebels and Rwandan soldiers as we do have today. We want to make a radical change in the country so that we have a country which has credible institutions, institutions which function to fulfill the missions of the state and these missions consist primarily in protecting the population and in providing them basic services. Musavuli: The electoral process is run by the National Electoral Commission and that is supposed to be independent. Do you believe that the CENI is in fact independent? Nzongola: No it’s not because the chairman of the CENI, Pastor Daniel Ngoy Mulunda is a cousin of Laurent Kabila, the father of Joseph Kabila. He is a co-founder of the PPRD, the ruling party, the People’s Party for Reconstruction and Democracy. Also he can’t be judge and jury at the same time. He cannot be an impartial organizer of elections because he’s already tied to one side. The law provides for political parties to name members to the Electoral Commission, but the law says that these people have to be persons of great integrity and people who are impartial. Mr. Ngoy Mulunda is not impartial so the Election Commission cannot be considered to be independent. They’re not really independent and the regime has not allowed those benefits. For example they have committed so many violations of the law, registering minors, registering civil servants and military people who are not supposed to vote. They are refusing an audit of the electoral rolls, not publishing the list on time, not doing a lot of things according to the law. So much of these things are done to frustrate the process so that the regime in power can win. They will not allow the opposition to have access to national radio and television so they’re not really independent. Musavuli: What process do you think exists for the winner of the elections this year to really have legitimacy? When we look at the electoral law, we do not have two rounds of the elections so we only have one round and it creates a situation where the winner can be a minority president meaning that one could win with as little as ten percent of the votes for the whole country. What do you think that will create in terms of having a legitimate president in the Congo? Nzongola: Well it is a tragedy that Mr. Kabila changed the Constitution to remove the second round of the elections. I am personally in favor of two rounds so that we elect a candidate who received the majority of the votes, but it is not unknown around the world for elections to be won by less than 50%. In the United States for example, presidential elections, you don’t have to win 50%. When Clinton won in his first election in 1992, he didn’t have 50%, it was only like 42% because Ross Perot got a big chunk of the votes, [18.9%] and so he won the popular vote but got no electoral college votes. If a system is designed that way then the person who wins wins. In Zambia, the late president Mwanawasa when he succeeded Chiluba, he won by 27% of the votes and no one denied him the legitimacy of his presidency. Certainly it would be better if the president wins a majority, but in our case here today, the choice is very, very clear. We have two candidates, Mr. Kabila who represents the past which is totally useless, which has done nothing for the country and Mr. Tshisekedi who represents the future and who is the hope of millions of Congolese. If Mr. Tshisekedi is elected, whatever the percentage, he is very much legitimate. There is no doubt about that. Musavuli: Do you agree with many analysts that the elections will be violent? Nzongola: Well again, I’m not a prophet. I can’t predict what will happen. Violence will happen if Mr. Kabila wants to be violent as he is doing today; preventing the opposition from campaigning freely, from putting up posters, from having access to radio and television, yes, there could be violence. If the opposition is denied the right to demonstrate freely and peacefully as they want to do, it can be violent. So it’s up to him, it’s up to the regime and the security forces to respect the law and the election will be free and fair and peaceful or they can resort to violence and then we’ll have violence. Musavuli: So my last question for you will be more so on what I always insist on... a message for the youth of the Congo. One of the things that keeps coming up as we meet young Congolese around the country or around the U.S. or outside of the U.S. or some of them underground, they insist on knowing our history and knowing what we need to do today to be able to move forward and not repeat the same mistakes of the past. Given that in our country the majority of the youths are under the age of 18, so we do know we have a lot of young people even in our Parliament, what are the prospects for a brighter future for the Congolese youths and what steps do you think we need to take in the Congo to really make the Congo one of the greatest nations of the world? Nzongola: It is a shame that we should be classified as 187th of 187 countries surveyed by the United Nations Development Programme in 2011 of the Human Development Index. We have a country that is very, very rich in natural resources; not only minerals, but also agriculture, forests, water, hydroelectricity, and so on. It is up to the youths of the Congo to really work hard, to study hard so that they can contribute to changing our country. They can contribute to providing the new generation of leaders who are responsible, who think above all about the plight of our people especially the poorest of our citizens rather than their own interests, and who are going to work very hard to meet the aspirations of our people for freedom and democracy. Since 1956, the people of the Congo have been fighting for freedom and development. We supported Patrice Lumumba in the independence struggle. We supported Tshisekedi during the Sovereign National Conference in 1992 and we are supporting him today for the same reason of attaining material prosperity and greater freedom. Our youth, our hope, they’re the ones who can really help us achieve those goals and I’m positive, I’m really hopeful and really convinced that if they do follow the right path, study hard, do the right things, hold onto high moral principles, they can help us achieve those goals. Musavuli: Thank you again so much for giving us the time to share your analysis on the current election and we do hope also that there will be change this election and that the candidate of the people will win and we all want peace in our country so we are able to go back and transform our nation. Thank you so much Dr. Nzongola. Nzongola: Thank you very much. Bye bye. The Independent National Electoral Commission (CENI) released the second partial results today. The results accounted for 21,265 of the 63,835 polling stations or 33 percent of all voting bureaus. 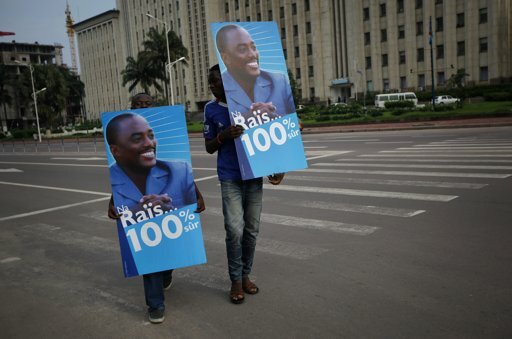 According to the CENI partial results, Kabila was ahead with 3.27 million of the 6.48 million votes or 50.3 percent. Etienne Tshisekedi garnered 2.23 million votes, or 34.4 percent. Les premiers résultats partiels de l’élection présidentielle viennent de tomber. Ils ont été rendus publics par la Commission électorale nationale indépendante. La compilation ne concerne que 15% des bulletins compilés de toutes les provinces. Le président du Bureau de la Commission électorale nationale indépendante, CENI, le Pasteur Ngoy Mulunda, vient de rendre public, depuis hier vendredi 2 décembre, les résultats partiels de l’élection présidentielle. La compilation porte seulement sur 15% des résultats traités de toutes les provinces. Click here to get the latest updates on the elections.